Use this buzzer to produce different tones, beeping sounds, or alert sounds. This buzzer is a passive buzzer, which means that it requires an oscillating signal to produce sound. 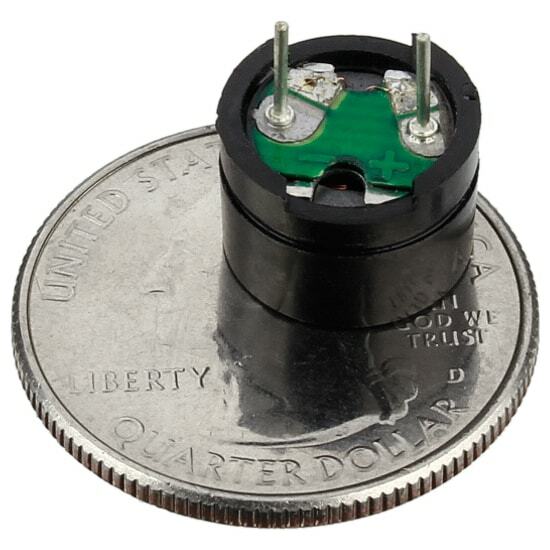 If you are looking for a buzzer that automatically produces sound with only DC power connected, then take a look at our active buzzer. We have included a link to the Arduino tone melody tutorial, below under "resources", which you can use with an Arduino to produce different tones and jingles with this passive buzzer. Very easy-to-implement way of adding sound to any project. Very cheap product and the shipping was very fast. The quality is very good.